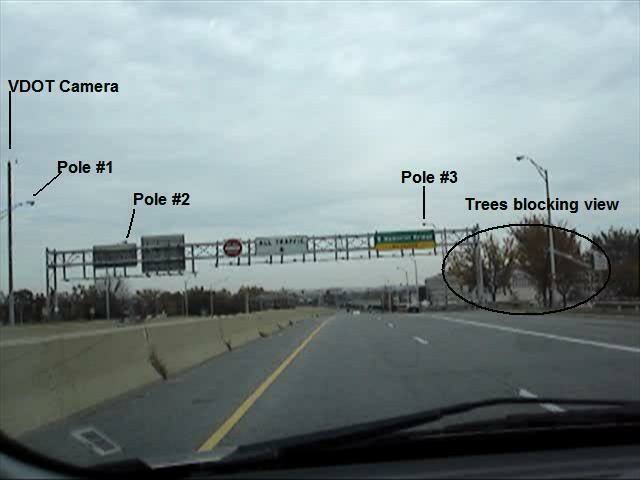 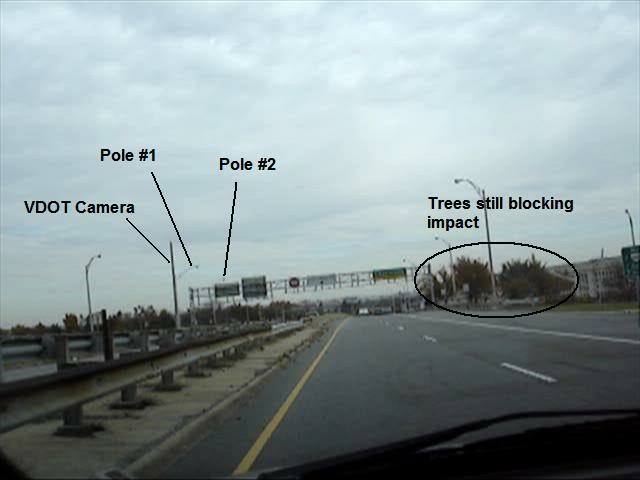 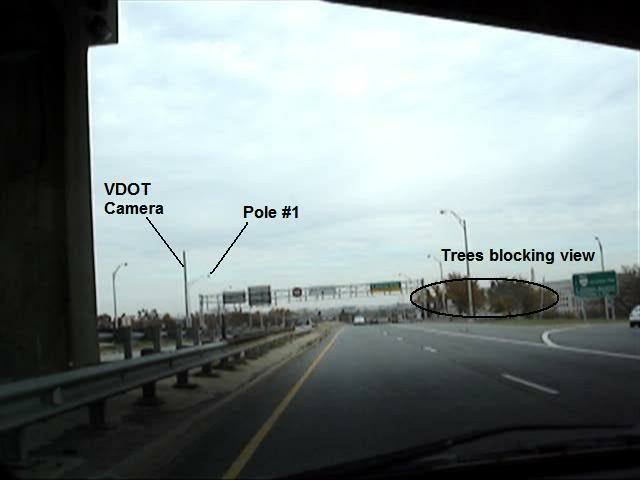 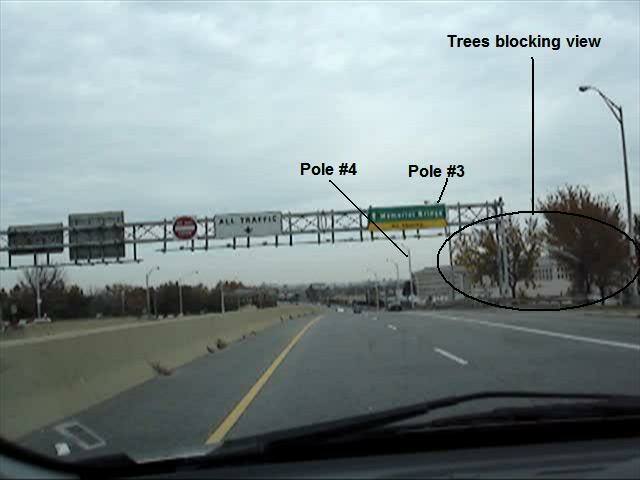 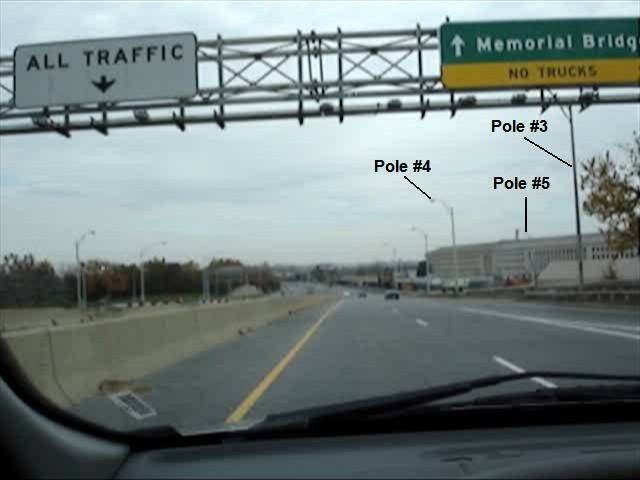 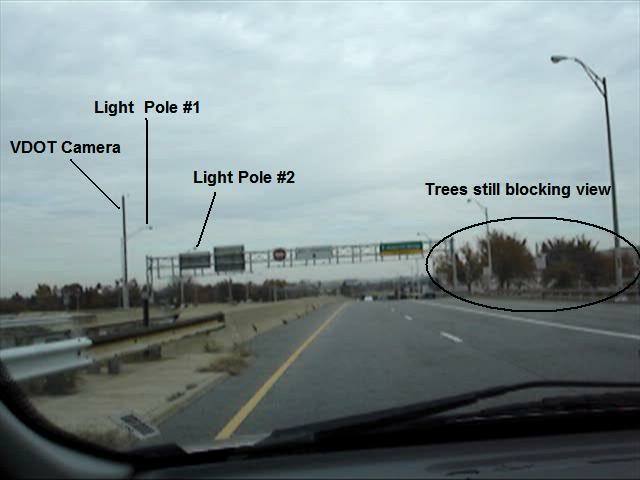 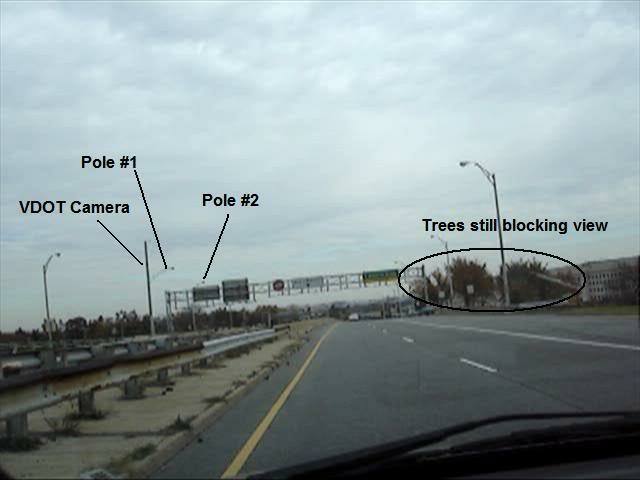 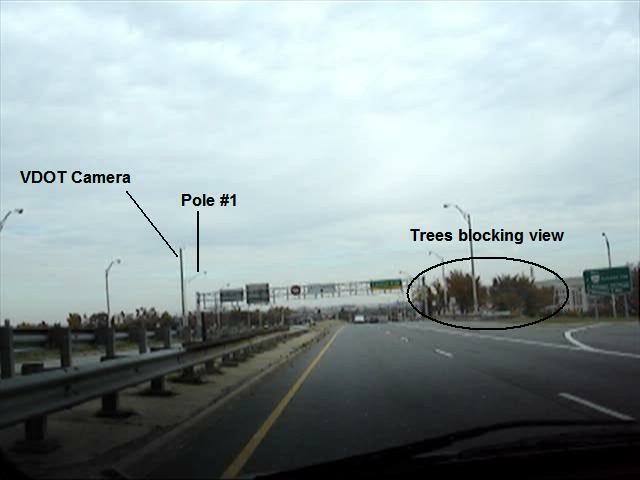 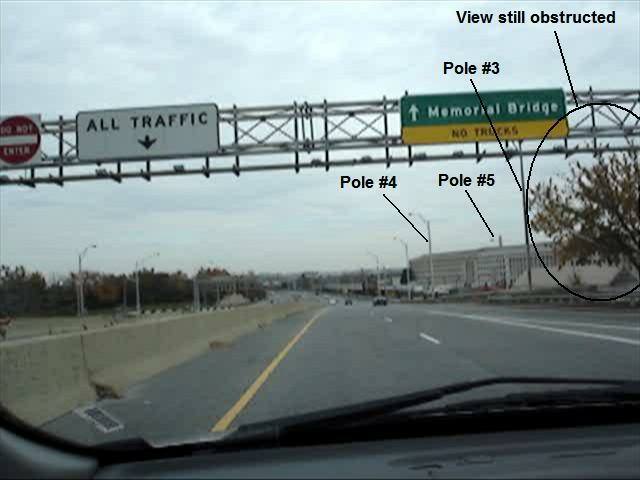 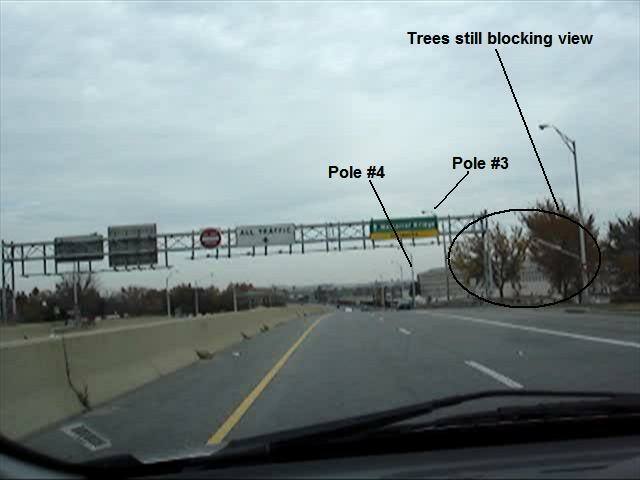 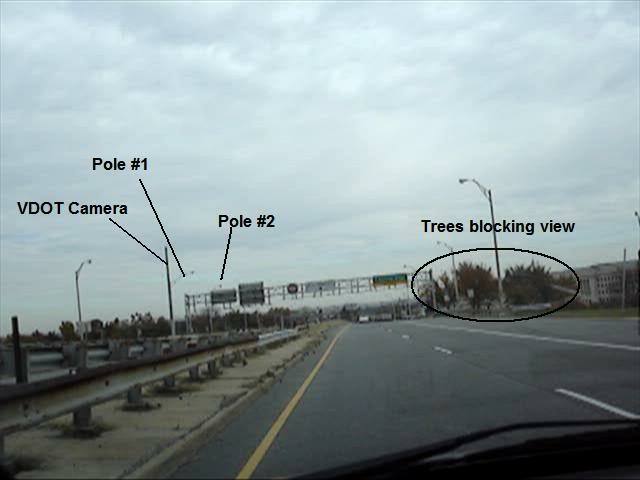 It's widely accepted by most Pentagon attack researchers that the witnesses who would have had the best view of the alleged impact would have been on Route 27/Washington Blvd right in front of the Pentagon. 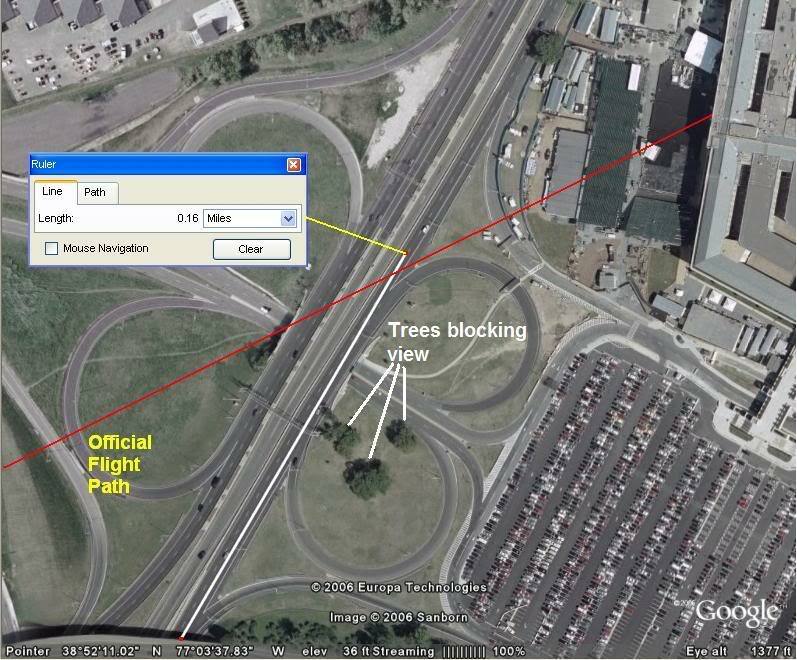 While this would certainly seem to be the case, the reality is that not many of them would have had a very good view at all, primarily due to a grouping of trees that blocks the view of where the plane would have hit the building. 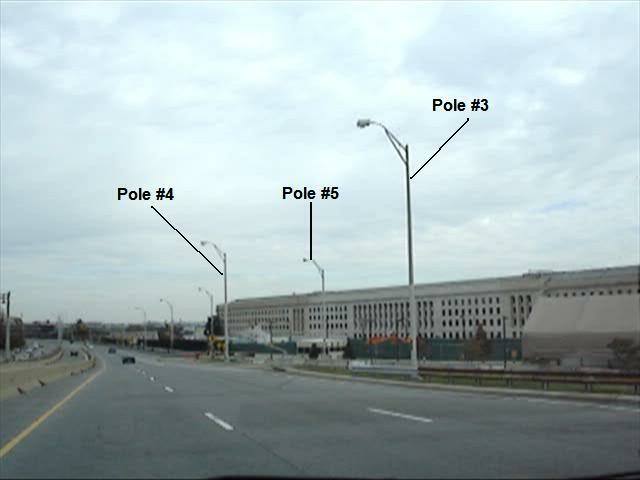 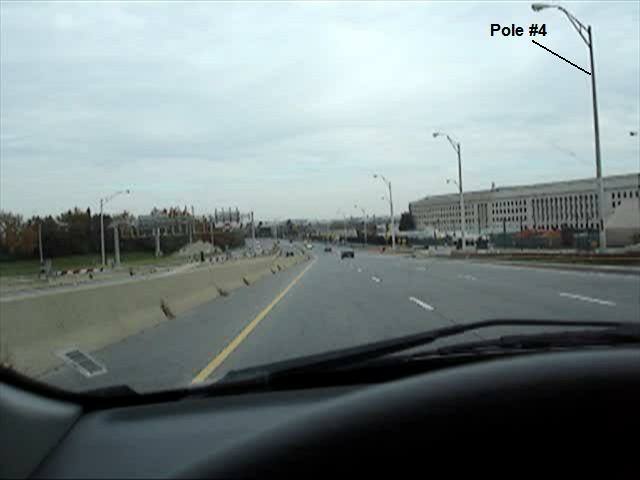 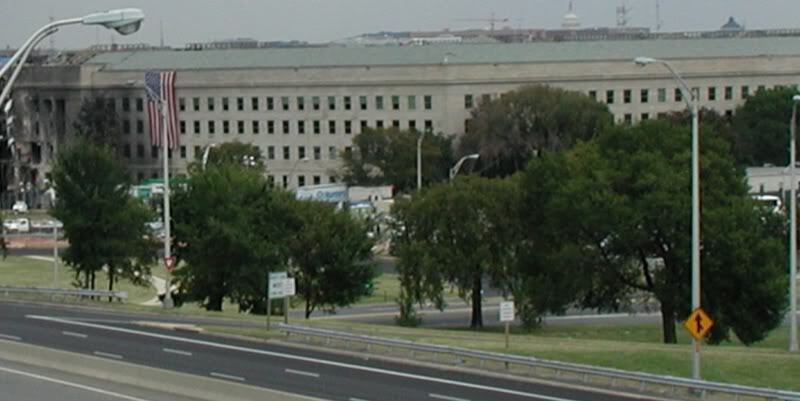 We would also like to point out how being right in front of the Pentagon, this area is extremely secure and controlled and there are many dubious circumstances surrounding many of the witnesses who were allegedly on this small section of highway. 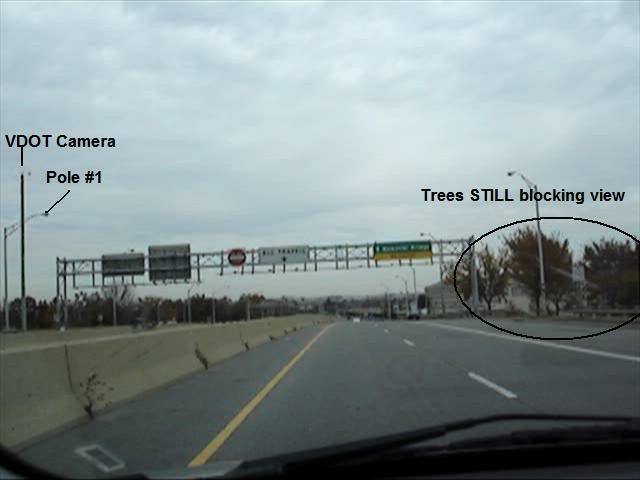 A simple staged road block or accident would facilitate control over who was actually on that highway during the attack. 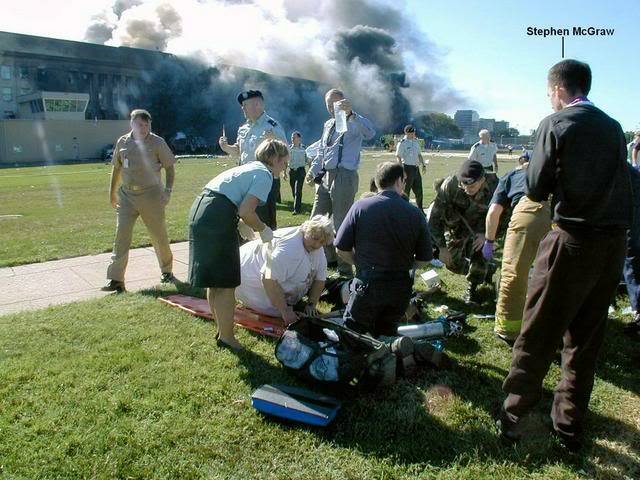 The "Researcher's Edition" will focus on the individual accounts and some of the serious questions surrounding these suspect witnesses. 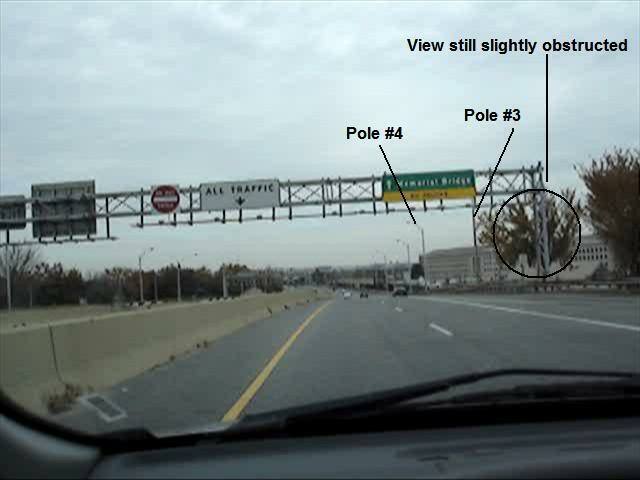 But even if they really were on that highway as claimed...what would they really have been able to see? 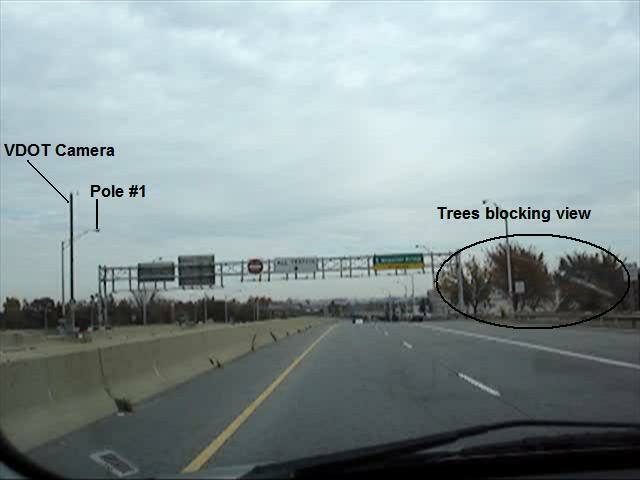 We have a series of images pulled from footage that we took while driving on that highway. 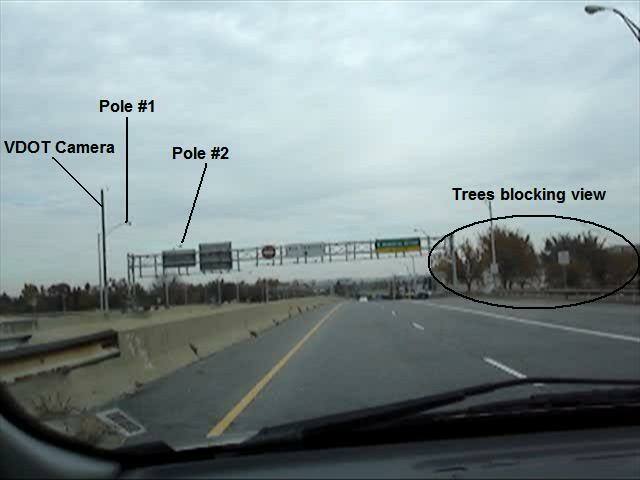 But first here are some satellite images that depict the area that we are talking about and show you how small the stretch of highway really is and exactly where the trees are that blocked their view. 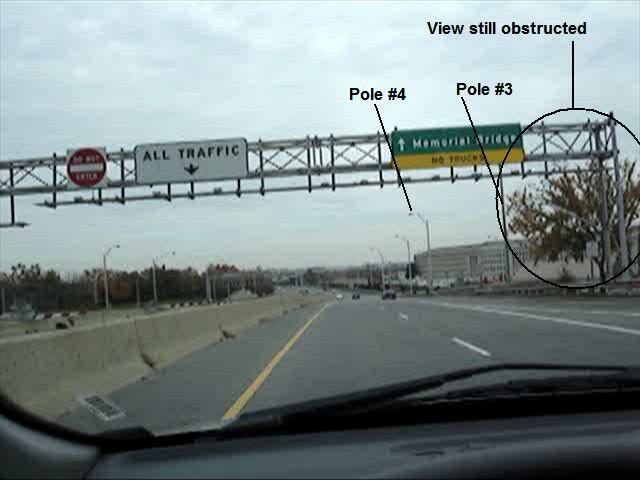 Why were there so many high level USA Today/Gannett reporters or editors? 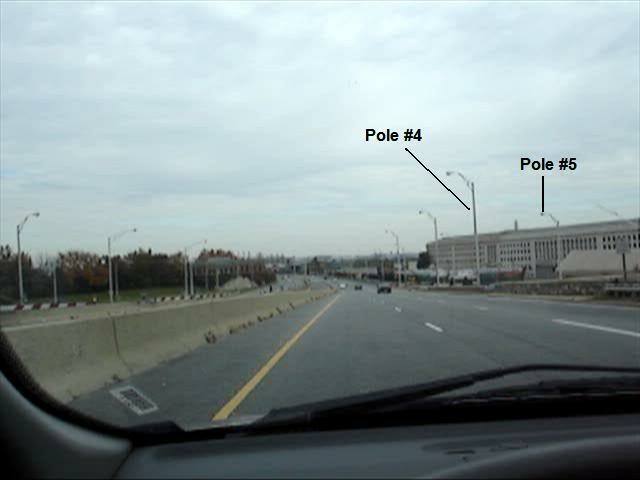 Here we measured it with the google earth ruler tool and it came out to a mere .16 of a mile. 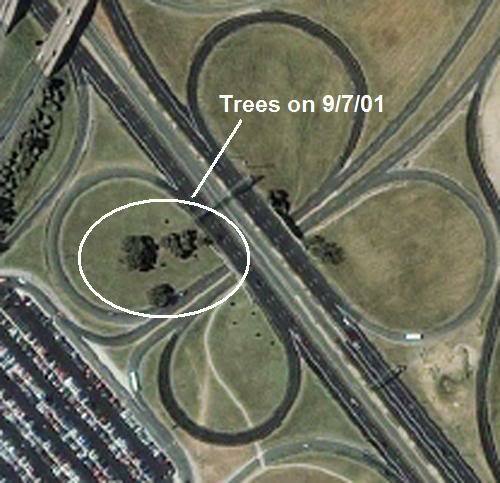 Here are a couple close up shots of the trees that show how full and lush they were on 9/11. 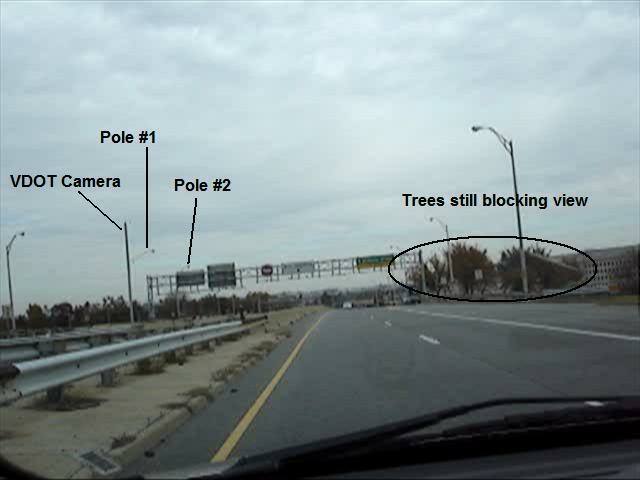 The footage we took was in November when the trees were less full but as you can see they still completely block the view of where the plane would have met the building. 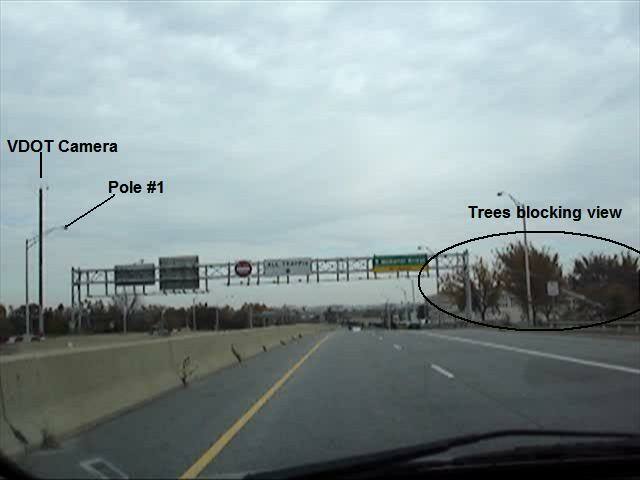 So we will start this series of images from when you first come out from underneath the overpass and ending at the point when we meet the official flight path. 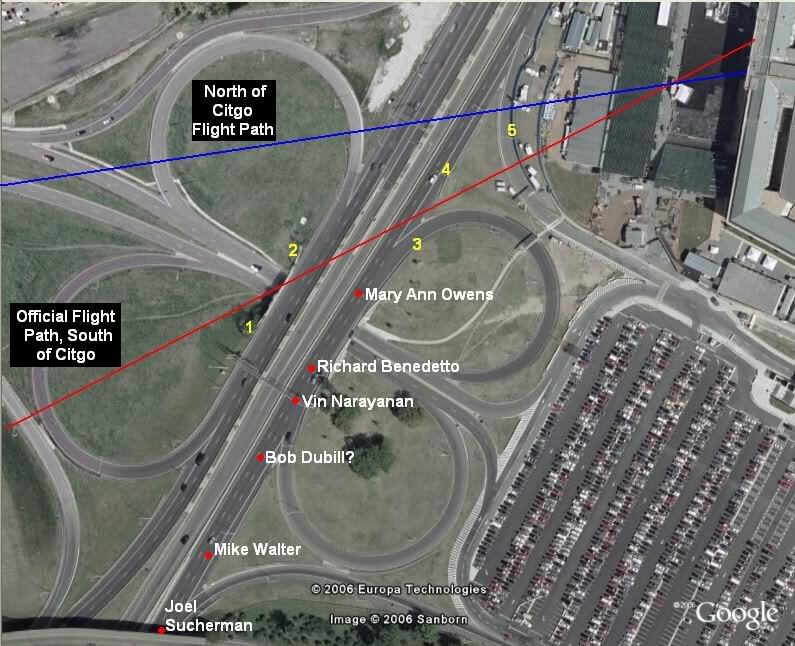 Anyone in front of the official flight path would have only seen the explosion because the plane would have come from behind them. 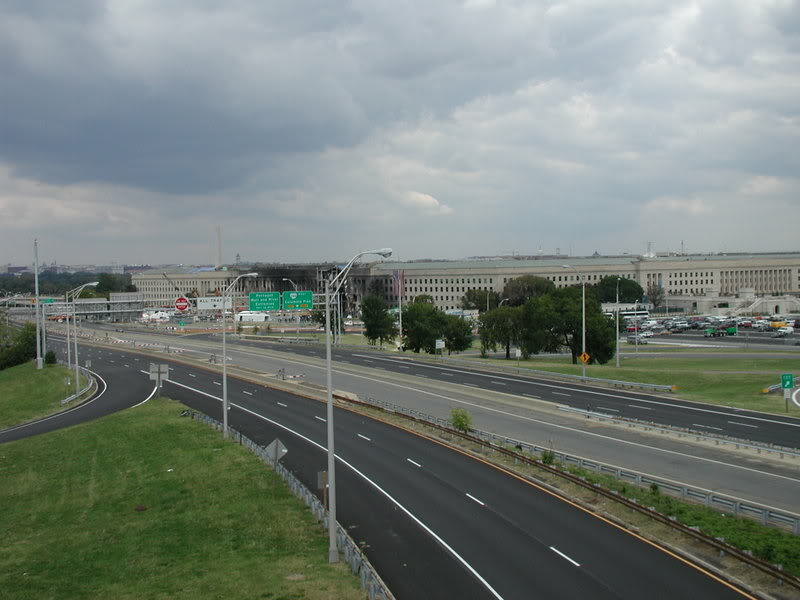 As you can see virtually the entire stretch of route 27 where people would be able to see the plane has the view of the Pentagon obstructed. 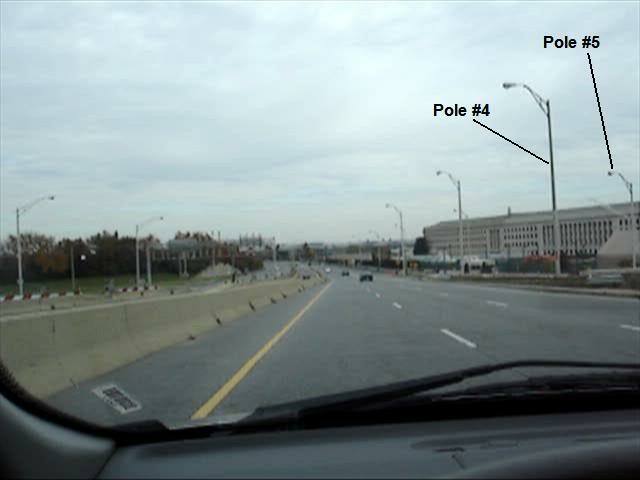 Only until you reach the point where you would be almost directly under the flight path is there a clear view of the building. 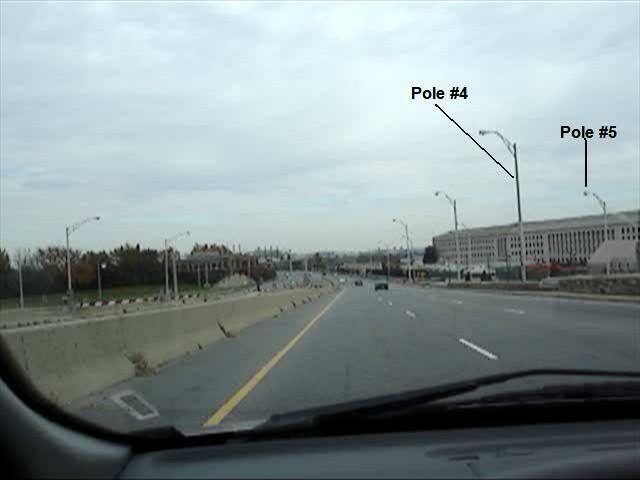 This is allegedly where famous witness father Stephen McGraw was before he got out of his car to allegedly administer prayer to the sick and the dying. 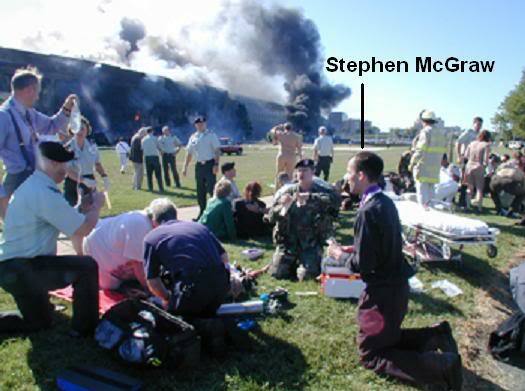 We interviewed Stephen McGraw in person and there are many questions about his account. 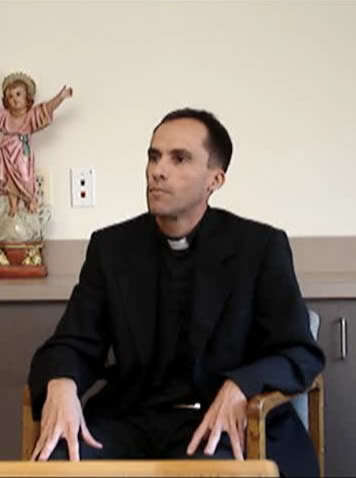 The complete interview and all details about this at the time newly ordained priest with ties to the Opus Dei church can be seen in our video short From the Law To the Lord. 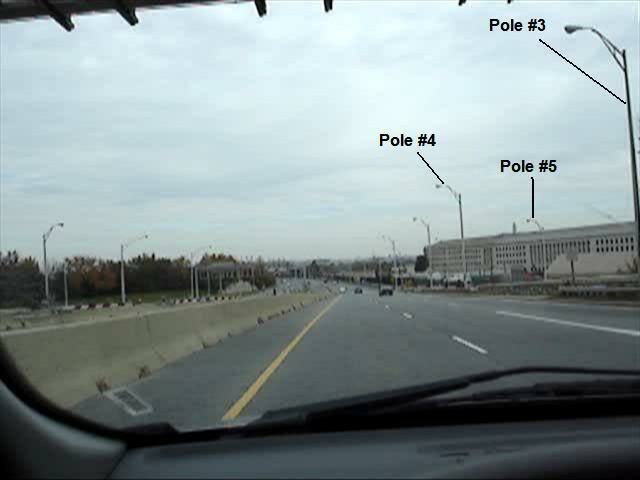 What's notable from our interview is that he personally told us how he did NOT see the light poles get clipped by the plane even though he is regularly cited as a witness to the light poles because he mentions the downed light poles in his previously published accounts. 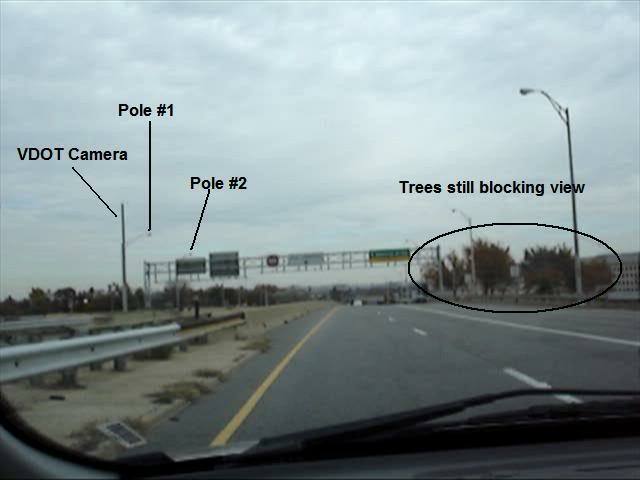 So although if he was really at that location he would have had a clear view of the alleged impact, he would have had an even better view of light poles 3, 4, and 5 so how could he have missed the plane hitting them while witnessing the alleged impact a fraction of a second later?